Single-graphic trade show displays can be used independently, with other banner stands, or with other display components. Talk with us about our wide selection of quality banner stands, and how Apple Rock can help you design the right graphics to make the most of your display. Tradeshow banner stands can be used as a stand alone component or as part of a larger promotional display or tradeshow booth. 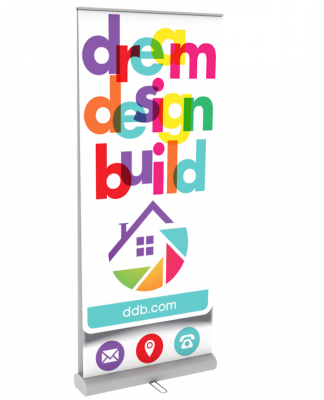 Banner stands are a portable and easy way to represent your brand. Talk with an Apple Rock consultant about tradeshow banner stands.